Why did it take so long? You should have been able to get the iPhone 7 SIM-free from the very beginning. 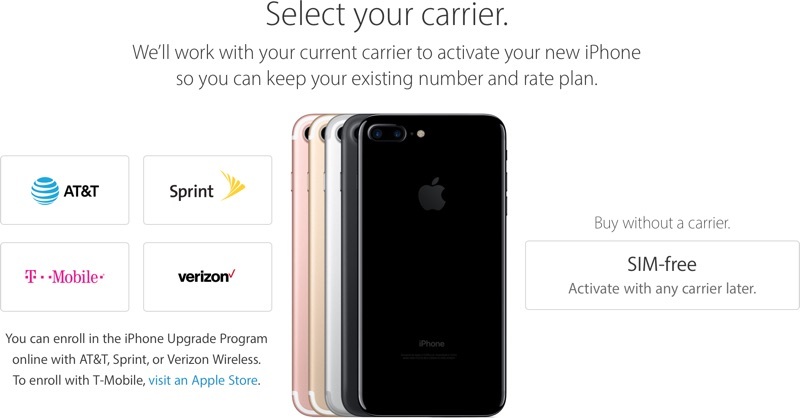 You could from day one...it's the Verizon and Sprint model! Finally. Wish it were available on day 1. Many of you'll think Apple releasing Sim-Free is some sort of company Strategy then you are completely wrong. Being in US, you guys have no idea about the depth of Black Market in other countries, especially Asian Countries & South American Countries. Apple has been a lot under pressure of scalping. And it's a HUGE business outside US. Now here's the thing. When iPhone is launched in US, pepple in other countries want iPhone on that same day/week/month. Every time in Bombay, India iPhone is sold in the Black Market for USD1500 which is sold in US for USD649. Understand the psychology of the buyers in these countries. They are ready to pay more than twice the amount just to get the iPhone before it's even launched in their countries. Reason? iPhone being a premium phone and holds tremendous value in the society culture. There are fanatics who are ready to line outside the store for 1-2 days before which happens in US also. iPhone is considered a luxury item and buyers feel alright to spend twice the amount. Apple is doing the right thing. If they release Sim-Free in US, believe me, you guys will have to wait even more than what you all are already waiting for Jet Black. Want to know something even more interesting? After this, you will never blame Apple for releasing Sim-Free option late. Thank Apple for releasing Sim-Free late. Edit: Also if Apple wanted to boost sales, they would easily got Sim-Free option on Day 1 since they know their sales are going to go on peak! Finally. Now faster ship times are needed. Here in Singapore, all phones must always be sold unlocked - by law! To everyone writing that the reason why the unlocked phones aren't sold at launch because of scalping I say that's false. It's because Apple has a deal with the carriers to buy a certain amount of phones at launch and so they need some incentives to sell those phones. Apple's growth & sales projections are predicated on the amount of iPhones that carriers worldwide buy in bulk. Most people around the world and even here in the US buy iPhones from carriers and that relationship has to encouraged somehow. Jesus Christ Apple can you **** this release up any further for people who simply want to reserve a CDMA version of the 7+ for store pickup without going through the IUP program or who aren't Verizon / Sprint postpaid customers? I mean I know demand is off the charts and they can simply afford to say "screw non-postpaid customers... either get the less capable GSM only T-mobile version or keep standing in line like a moron!" but it seems like a real crappy way for a company to treat customers who simply want to reserve a contract free CDMA 7+ for store pickup and don't want to waste time going to the store over... and over... and over again waiting in line just to be told each time they don't have that one in stock and to come back another day. True, but you had to verify your account, which is BS IMO. If I'm paying full price why should it matter? So, does Apple get some kind of kickback for selling a phone with a sim in it on their program? I'm asking because I can't imagine why a sim free model would be excluded from program such as this. My guess is that the carriers negotiated a month of "exclusivity" to meet their sales commitments to Apple. Anyone else quickly scroll down the front page hoping the airpods were released too? I'm guessing 10/27 if Macs are announced or 10/31 otherwise. Why not? The CPU is as fast as a MacBook's CPU. Smartphones are computers.